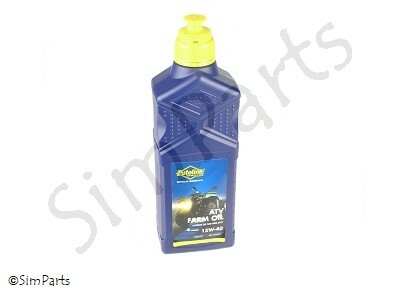 Putoline ATV Farmer Oil 15W40 is an ultra modern formulation and has been specifically designed for all new-generation buggy's with integral gearboxes and automatic clutches. Premium quality base oils are used, and carefully chosen additives enhance this product to offer all-year-round protection especially in conditions of high-salt and high-humidity. ATV Farmer Oil exceeds manufacturers specifications. Offering excellent dispersancy to prevents precipitation and sludge formation, ATV Farmer Oil also exhibits powerful anti-wear properties necessary for prolonged service intervals. With a high anti-foam action and a low ash formation ATV Farmer Oil is a hard working oil for hard working buggy's.